Fri-yay! When the weekend finally arrives, you can drool at the mere thought of having a hot, cheesy pizza for dinner. But instead of ruining a week of healthy eating and post-work exercise by downing slice after golden slice alongside a dozen garlic rolls, you should pair that pizza with the likes of a tasty salad. 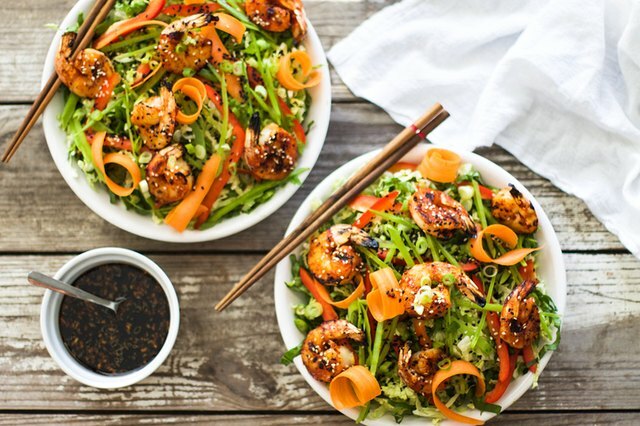 Don't look so dismayed — salads can be much more than limp leaves and bland dressing, and with a little imagination, you'll get in your daily dose of veggies while fulfilling your cravings at the same time. 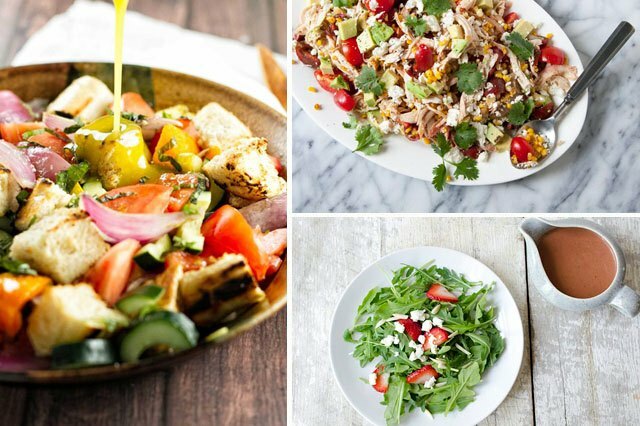 From a light and tangy strawberry salad to a hearty kale chicken caesar, here are 10 recipes that'll be the winning complement to any pizza. 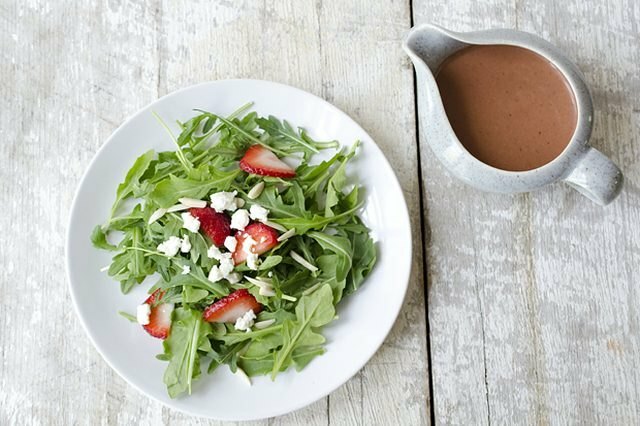 A seemingly simple salad of arugula, fresh strawberries and crumbled feta cheese will come alive when you top it with a splash of strawberry vinaigrette dressing. Roast the strawberries for 15 minutes, and then blend them with olive oil, balsamic vinegar and salt and pepper for a dressing that is bursting with flavor. Ditch those garlic rolls, because this is the only side you'll need with your slice of pizza. 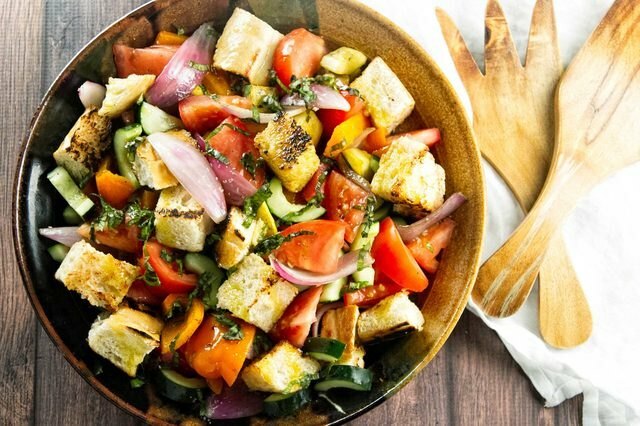 Use up all the extra produce in your fridge and the stale bread in your pantry to make a classic Italian panzanella salad that's as customizable as it is delicious — from cucumbers to bright summer squash, no veggies are off-limits here. Combined with grilled pieces of bread and a lemon dijon dressing, this salad might just make you forget about the pizza all together. Balance out that heavy slice of pizza with a light, refreshing Waldorf salad that's served over a colorful bed of leaves. 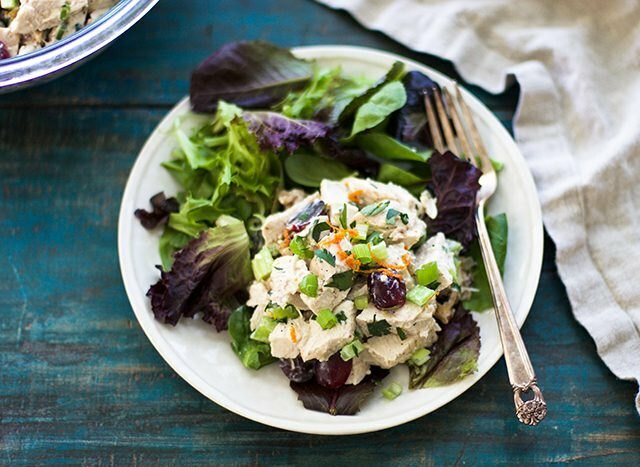 Pro tip: make a big batch of the creamy chicken salad with cranberries, celery and walnuts so you'll always have a healthy option waiting for you when you get home. You'll still love this salad long after the last piece of pizza is gone. 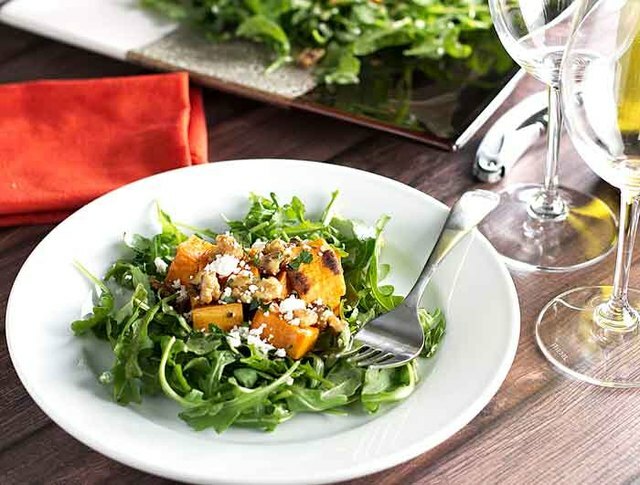 A handful of candied walnuts and grilled sweet potatoes can transform even the most basic bed of lettuce into a salad that'll make you salivate long before the pizza delivery guy even gets to your door. Do yourself a favor and make a bigger batch of the candied walnuts than you'll actually need, because once you taste the them, you'll be snacking on them all week. Cooking farro may seem intimidating, but if you can boil a pot of water, than you can totally handle this. This ancient grain is chewy with a mild nutty flavor and is packed with healthy fiber. 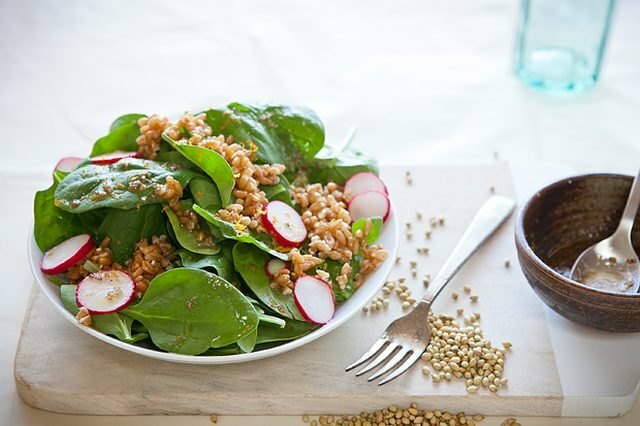 Chow down on this salad before you even touch your pizza, and the filling farro will help you eat less. 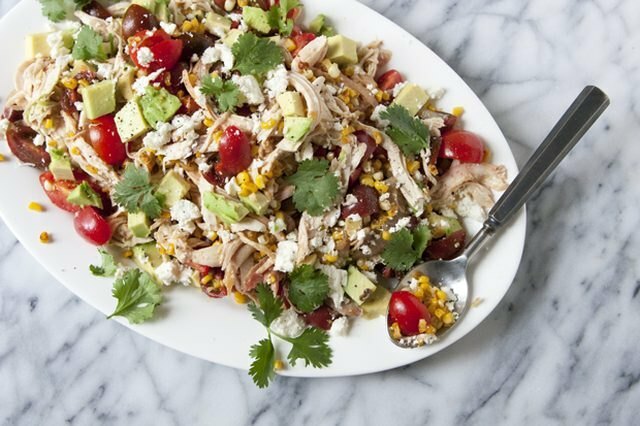 Bulk up your usual salad with charred sweet corn, shredded rotisserie chicken, thick chunks of avocado and creamy cotija cheese. Drizzle the whole thing with a light olive oil and lime juice dressing and this hearty chicken salad will quickly become your new favorite craving. Sorry, pizza. If you're indulging in a pizza that's layered with spicy pepperoni and thick slices of sausage, balance it out with a fruity salad that's both light and refreshing. 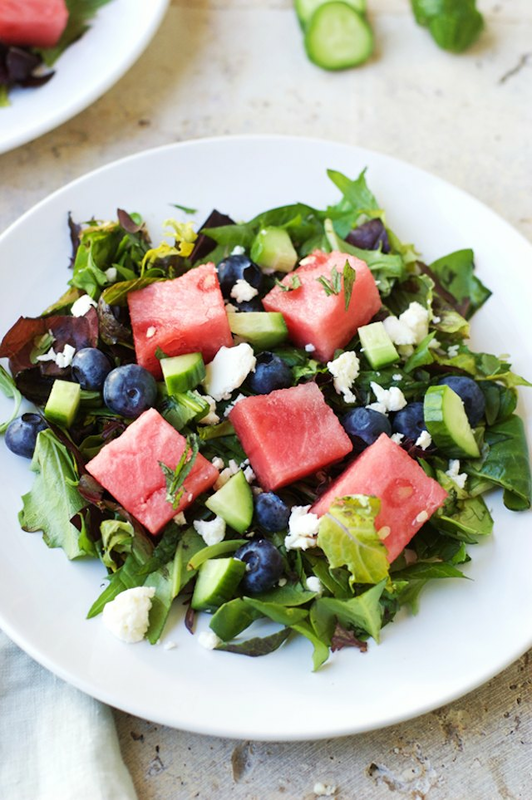 Juicy watermelon, fresh blueberries, feta cheese and tangy balsamic dressing are the perfect combination that won't leave you feeling overly full and lethargic when you're finished. Your simple flatbread pizza will thank you when you jazz it up with a side of zesty grilled shrimp salad. Season your shrimp, cook them for 3 minutes per side and brush them with a sweet and spicy sriracha honey glaze. It's the perfect pairing for when you want a simple, cheesy slice. Replace the romaine in your usual go-to chicken caesar salad with dark, leafy kale for an extra punch of vitamins and nutrients. Add in your favorite veggies, like cherry tomatoes and avocado, and toss wth dressing. Your pizza will be giving this tasty salad some serious side-eye for stealing the show at dinnertime. 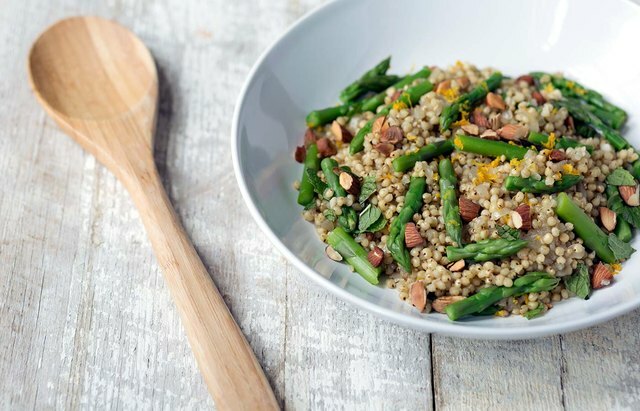 If quinoa isn't your thing, give sorghum a try: it's still loaded with protein and fiber, but it's slightly bigger and retains more of a bite when cooked. Pair it with fresh pieces of asparagus, mint and almonds for a grain-based salad that will have you going back for seconds. 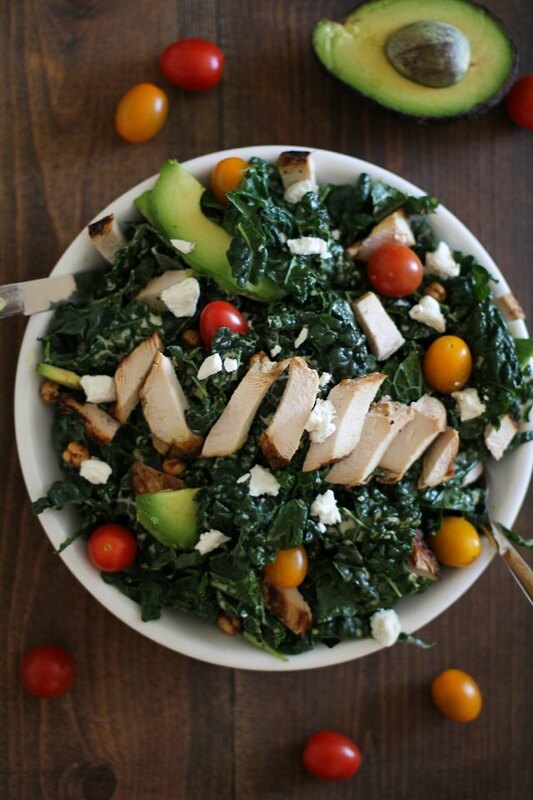 Leave that last slice of pizza for someone else, because this salad is where it's at!